We have been busy this spring and summer creating premium company history books for some truly exciting family owned and operated companies. Wendt Corporation (http://www.wendtcorp.com) and Flanagan Foodservice (http://www.flanagan.ca) have joined the ranks of distinguished HBS clients. Both companies are marking their 40th anniversary with company history books to be shared with their customers, employees, and communities. In 1977, mechanical engineer Thomas Wendt founded Wendt Corporation. The Buffalo, New York based family business manufactures state-of-the-art shredders and metal separation systems for the North American metal recycling industry. 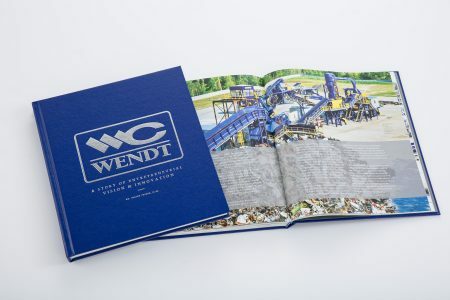 The book tells the fascinating story of an industry-leading manufacturer and process solutions provider that today is jointly led by the first and second generation of Wendt family entrepreneurs. Kitchener, Ontario-based Flanagan Foodservice looks back on a 40-year-long history as well. Founded by the late Joe Flanagan and under second generation family leadership today, Flanagan’s celebrated its 40th anniversary as Canada’s largest independently owned foodservice distributor. 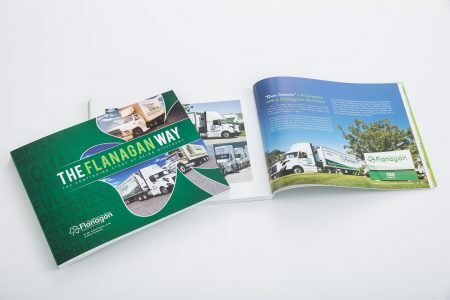 The book’s title speaks to the Flanagan family’s philosophy of differentiating their company through unparalleled service in the Canadian foodservice industry. At HBS, we assist successful family businesses like Wendt and Flanagan’s in capturing their historical record and preserving their ongoing legacy through meticulously researched, authentic, and factual narratives. In documenting the founding story, employee contributions, and long-standing relationships with customers, suppliers and the community, our fully branded premium company history books are as much about entrepreneurial vision, dreams and aspirations as they are about the evolution, milestones and transitions that continue to shape family businesses across generations. To learn how we can help your family business capture and preserve your ongoing legacy through a premium company history book or to obtain your sample copy call us at 519-501-1412 or email us.